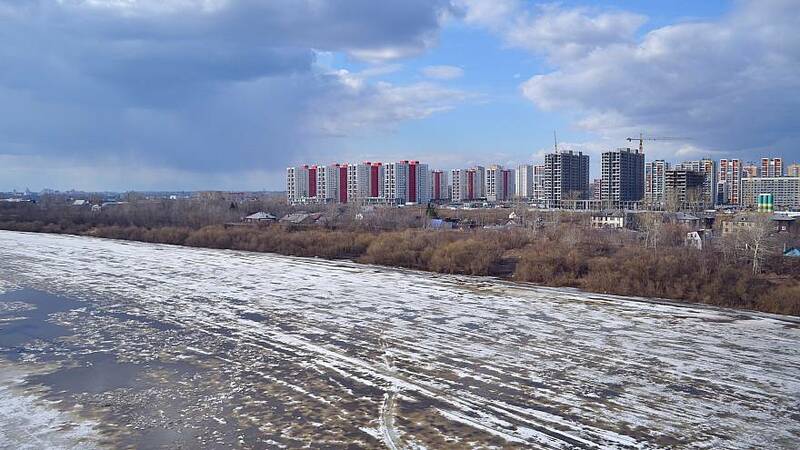 Russian security services carried out an operation against a suspected cell of the so-called Islamic State (IS) in the western Siberian city of Tyumen on Friday, TASS news agency said. Two people, thought to be supporters of IS were killed in the special operation, the National Anti-Terrorism Committee (NAC) said. "When told to lay down their weapons and surrender, the terrorists opened fire at police officers. [They] were killed in the shootout that followed," a NAC spokesperson told TASS. "There were no casualties among civilians or officers." The pair supported IS and were plotting terrorist attacks, the news agency said, citing information obtained by Russian security services. The operation began at around 10 pm local time. Law-enforcement officials cordoned off an area in the Tyumen's western outskirts. Residents were evacuated, the electricity cut off and street lights were turned off, according to local media reports. Video on social media showed a line of police cars streaming into the area with their lights flashing. One of the buildings within the security zone caught fire, according to local media, quoting witnesses.